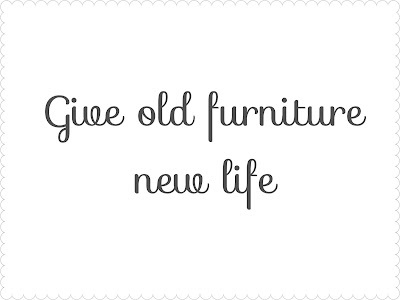 I don't know if you know this, but I get a thrill from watching how people update their furniture. My Pinterest is full of before and after photos of furniture makeovers. Now it's my turn and I couldn't be more excited! Mr. Chickadee is getting a kick out of it, says he's never seen me light up this much about things. He's the type to go to the furniture store and buy the whole set up. Not me. I'm thoroughly enjoying the scavenger hunt and am anxious to start working on my treasures! Bringing together random pieces to make it all work. Check out my thrifty finds from the last 2 weeks! 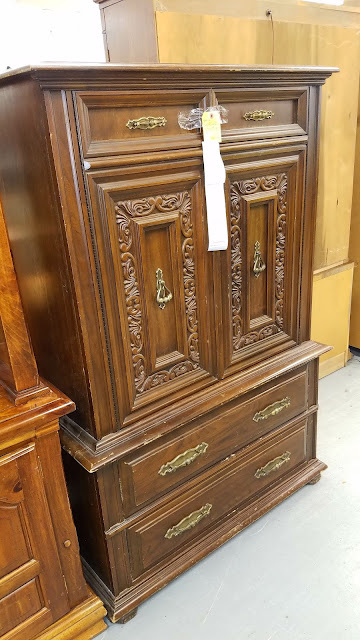 Isn't this dresser beautiful!! But after I'm done with it, it's going to look gorgeous! I'm still a bit giddy from how much I paid for it. Considering it's size, that it's all solid wood, and still in amazing shape! It was $40!!! I mean, is this not the best steal you've ever encountered??!! I'm thinking it'll cost about $50 to make it fabulous.. even if it costs me $100, it's still the best deal ever! I couldn't contain my excitement when I got home. 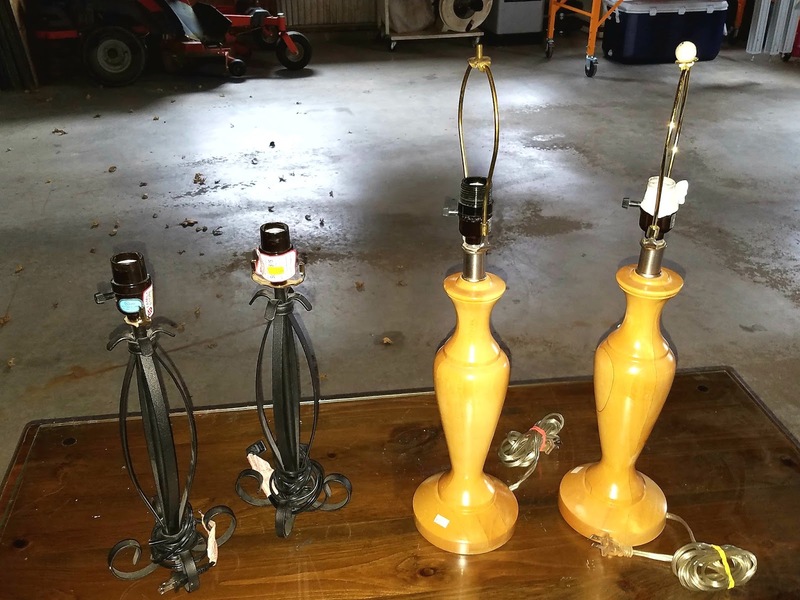 I got these two sets of lamps from two different thrift stores.. the black iron ones were $5 a piece and the yellow wood ones were $10 a piece.. 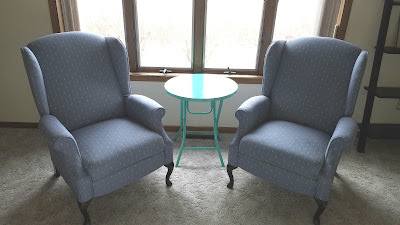 I'll be painting the wood ones and adding pretty lampshades. 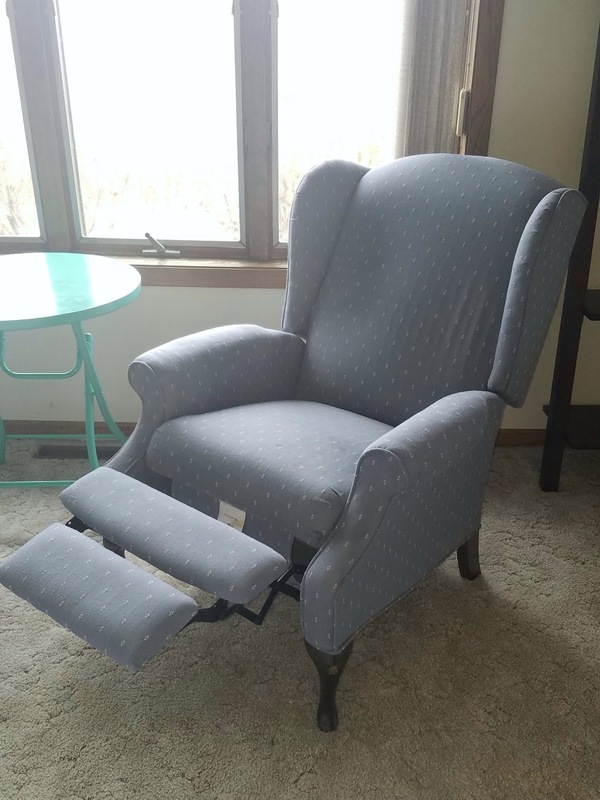 Check out these super cute wing back chairs! I'm not crazy about the fabric, but I'm going to reupholster them so they compliment the white sofa they face. They were only $25 for the pair.. Such a steal, because they're almost in perfect condition!! There are only a couple worn spots in the fabric and a scuff on one leg! And they recline with a foot rest!!! 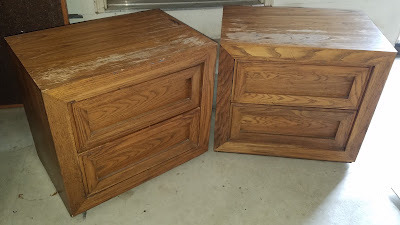 Sigh.. it's the little things..
And these two nightstands were a Facebook Marketplace find.. $30 for both!! I'm going to add some legs to them and paint to match the dresser. I'm super excited because I almost have all the pieces for our bedroom! The tall dresser and nightstands, along with the curbside desk, are going in our bedroom, after I update them of course. Just need to find or build the bed frame.